THREE people, including a “Top 1 Priority Target,” were arrested in two separate anti-drug operations here in the Zamboanga Peninsula, the police said Monday, February 11. 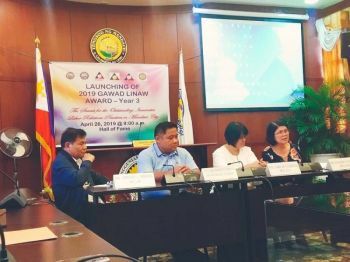 Chief Inspector Helen Galvez, Police Regional Office-Zamboanga Peninsula information officer, identified the arrested drug personalities as Joanna Dangcalan alias Joanna Woo, 18; David Noble alias David Woo, 31; and Reynante Cadungog, 31. 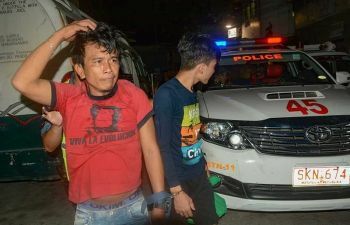 Galvez said Dangcalan and Noble were arrested in a drug bust at 10:50 a.m. Sunday at Purok 7 in Santa Isabel village, Dipolog City, Zamboanga Del Norte. She said confiscated from the two were some P150,000 worth of suspected shabu (methamphetamine hydrochloride) packed in two big-sizes and 14 small-sizes heat-sealed plastic sachets, P500 marked money, P550 cash believed as proceeds in the sale of illegal drugs, and other prohibited drug paraphernalia. Galvez said that Cadungog, listed as Top 1 Priority Target, was arrested in a drug bust around 12:30 p.m. Monday at Purok Sanito in Dalangin village, Titay, Zamboanga Sibugay.